MURFREESBORO, Tenn.- Wander through Murfreesboro’s most mysterious mansion as you explore some of the unusual mourning customs and creepy superstitions of the Victorian era at Oaklands Mansion for “Flashlight Night,” Saturday, Oct. 18, 2014, 7-11 pm. Guides in mourning attire will be stationed through-out the mansion to answer questions as you explore the dark corners and creepy cupboards. The shadows will be hauntingly dim. “While in the downtown area enjoying the Fall Fun, take the opportunity to see Oaklands after dark! When your flashlight tour is over, if you dare, take a walk on the dim trails of the wetlands and see the dark reflections of Maney Spring” said James Manning, Executive Director of Oaklands Historic House Museum. Admission is $5. Enter at the Oaklands’ Visitors Center located at 901 North Maney Avenue. After exploring the deep, dark corners of the mansion, join the 9th KY Volunteer Infantry around the campfire as they share stories and recount the day’s events. The encampment will be open to the public on Saturday October 18, 10 am-3 pm, and again on Sunday, October 19, 2014, 1-3 p.m. at the historic site, at 900 North Maney Avenue, as part of the Rutherford County Heritage Month activities. This camp of instruction tells the story of what Union occupation forces would have been doing in and around our town during the Civil War. Families will be able to view the campsite and watch the soldiers practice drills. Guided mansion tours will begin on the hour at 10:00 a.m. with the last tour departing at 3:00 p.m. Regular admission rates apply. Visit www.oaklandsmuseum.org for rates and more information. The military demonstrations on the lawn are free and open to the public. Complimentary parking for the event is located at the Roberts Street pavilion. Middle Tennessee State University Homecoming Parade will also be in the area Saturday morning, so alternate routes may be sought during that time. At the dead-end of North Maney Avenue you’ll find a tree-lined drive to the most famous mansion in Murfreesboro! The iron gates are open and the mansion, normally locked and secured, is ready to greet you on this rare night! Bring your little ghosts and goblins to the doors of the dimly lit Oaklands Mansion to offer their most haunting greeting. As the doors creak open to reveal the grand stair hall, and the family in mourning, you’ll see that this isn’t like any “haunted” house you’ve visited. Victorian families stopped the clocks, shuttered the windows and draped their mirrors in black when a loved one died. Before the time of funeral homes, the family’s parlor was the scene of their funerals and wakes. Just like any home on Halloween, you can’t go in, at least not tonight. Through the doors, you’ll see just enough of the inside of this sprawling Italianate mansion to wet your appetite to return for a full tour. 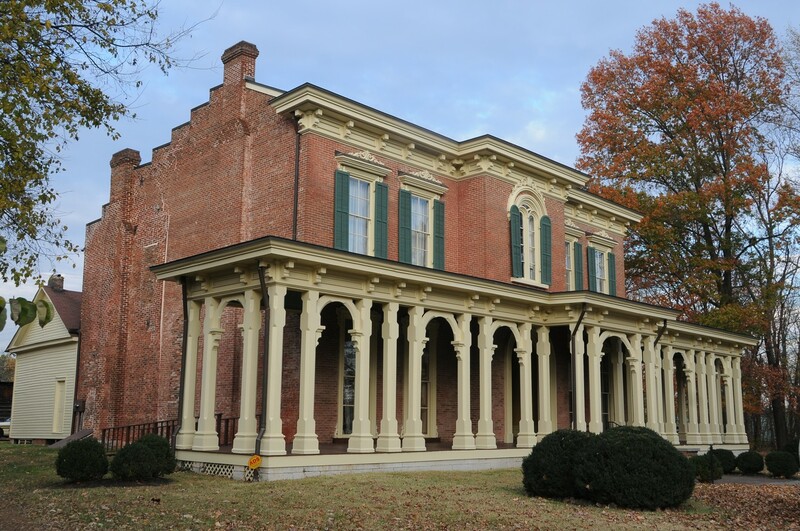 By 1860, Oaklands was one of the most elegant homes in Middle Tennessee and situated on an over 1,500 acre plantation! Following the Civil War, it deteriorated from a majestic mansion to virtual ruins and, in the 1950’s, its very existence was threatened. Thankfully, the mansion was saved from the wrecking ball when a group of concerned ladies created Oaklands Association in 1959. Since then, the generosity of the community has provided for the restoration of Oaklands to its original splendor. Trick-or-Treating at the “Old Maney Mansion” is free, open to the public and will take place at the doors of Oaklands Mansion at 900 N. Maney Avenue in Murfreesboro, TN on October 31, 2014, from 4 p.m. until all candy is given away. 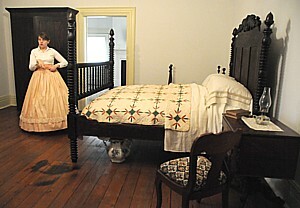 For more information, contact Oaklands Historic House Museum at (615) 893-0022 or email info@oaklandsmuseum.org.